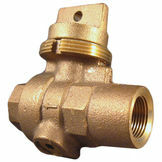 At PlumbersStock, we carry nearly every kind of valve can think of for plumbing, HVAC, and irrigation applications. 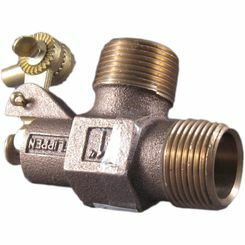 Each kind of water valve and gas valve plays a specific role and it is important for you to consider this as you search for the best plumbing valves and fittings for your home improvement project. 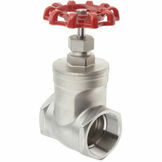 A valve is a fitting whose most basic function is to regulate the flow of fluids like gases, water, and sewage. 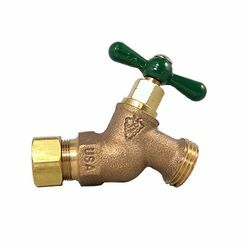 Plumbing valves offer both manual and automatic operation, usually with manual operation coming in the form of a handle or lever. 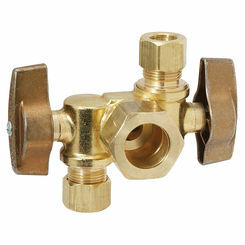 Ideally, an automatic valve will come with a manual override. 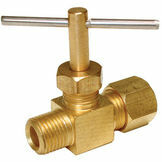 We carry valves by Woodford, Honeywell, Watts, GROHE, and more. 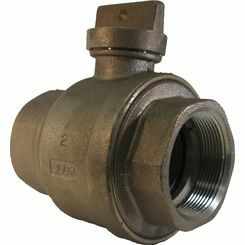 Ball valve - this type of valve controls fluid by blocking or allowing passage, depending on which way the ball is facing. 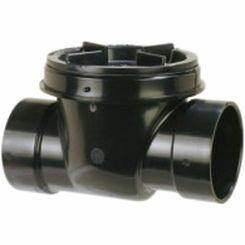 The ball has a hole in it, through which the water passes when it is aligned with the piping. 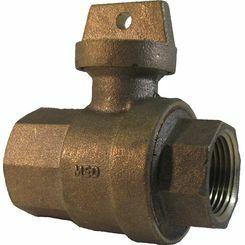 Gate valve - somewhat similar to the mechanism used in ball valves, the gate allows for the flow of fluids when it is lifted out of the way. 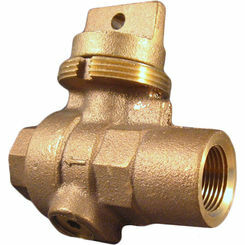 It is typically applied for industrial purposes with its ability to regulate high-viscosity fluid. 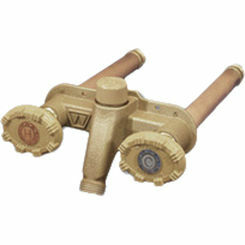 Curb stop - typically used by municipalities, this water valve controls the supply of water to homes and businesses. 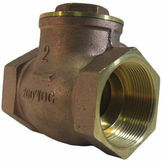 Check valve - this valve allows you to prevent the backflow of water and other liquids. 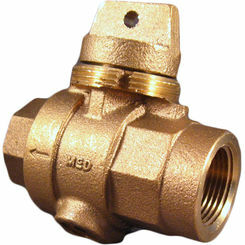 They are also commonly referred to as non-return valves. 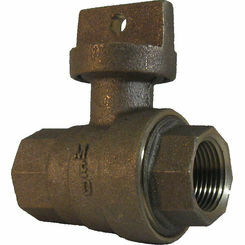 Hose bib - threaded for connecting a hose, wall hydrants are often found on the exterior walls of home where they serve as water valves. 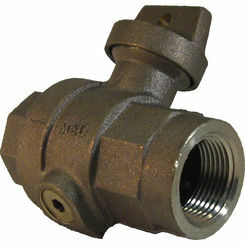 It should be said that not all hose bibs are threaded. 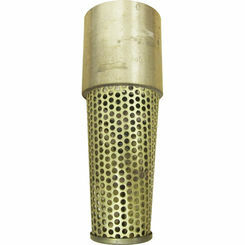 Some must be soldered, but it is not very common. 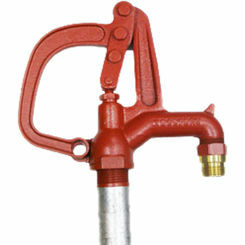 Yard hydrant - typically, you will find it detached from the home near a garden. 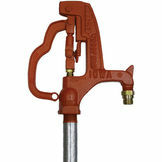 They are operated by raising or lowering the handle. 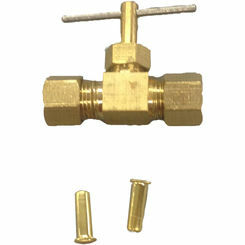 Angle valve - set at a 90-degree angle, this water valve is used in the home for regulating the flow of water from the main supply to fixtures, like toilets and faucets. 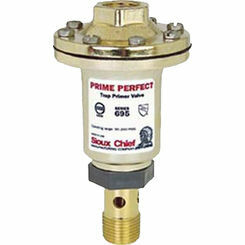 Pressure release valve - though some may refer to it as release, relief, reducing, or just shorten it to PRV, it is all the same. 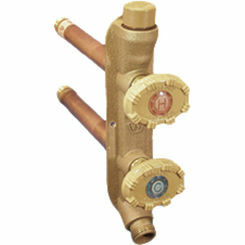 This water pressure valve allows you to reduce the pressure in your system, which in turn helps you conserve water. 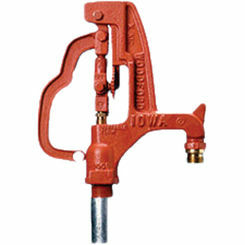 Float valve - much like the PRV, this fellow has several names, including balltap and ballcock. 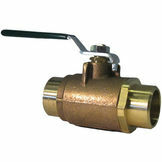 Used mainly with swamp coolers, this water valve is operated by the movement of the water level. 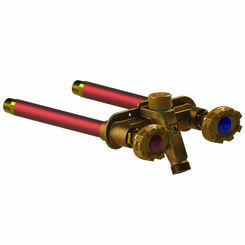 When water evaporates the float valve lowers, triggering the mechanism to fill the unit with more water. 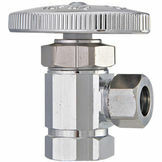 Needle valve - also used in swamp coolers, this valve works in conjunction with the balltap and controls the amount of water that flows in the system. 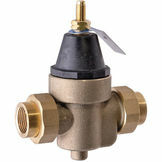 Chances are you may be still confused about a few details, so if you need help finding the best plumbing valve for your needs, please contact our team of customer service representatives who are standing by to assist you.  They can help you locate the part you need. 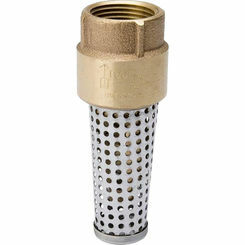 You may also use the filters on the side of the page to sort through the water valves and fittings that are irrelevant to your search. 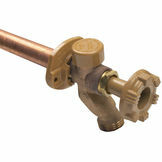 Thank you for making PlumbersStock #1 in online plumbing supply.